ashmir has produced many saints, poets and mystics. ‘VijeshwarPanchang’ has listed almost 160 saints spread over 7 centuries. Among them is, Sri Jankinath Dhar Saheb, popularly known as Papaji Maharaj, to his devotees, scattered in India and abroad. He was born in a middle class family adjacent to the reverend Rupa Bhavani Ashram along the river bank at Nawakadal, on Vaishakha Krishna Paksh Saptami, around the year 1900, AD. Staying put amidst turmoil and insurgency, Papaji breathed his last, on July 30, 1990, at his last earthly abode, at Chanapura, Srinagar. During the last days of Papaji’s life, insurgency in the Kashmir valley was at its zenith. The terrorist activities which resulted in frequent shutdowns, curfews and selective killings of KPs, posed a permanent scare and danger to life and property of the community. On the demise of Papaji Maharaj, no priest was available to perform his funeral rites. The sacred body was consigned to flames in an uncertain, tense atmosphere, in the presence of a handful of persons including the BSF personnel, at the Natipora crematorium. In normal times there might have been thousands of mourners thronging the venue. This was the time when almost 97 percent of the KPs had already fled the turbulent vale in distress. No customary rituals for 12 days, could be performed, for obvious reasons. 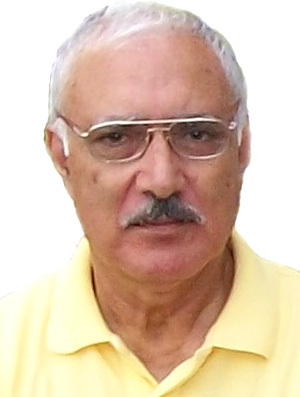 One is amazed to learn that a few years earlier, during an illness, Papaji mumbled that there would be no ‘Dah-Sanskar’, as such, for him on his death. Papaji was a saint of a unique and high order. Many a times his closest devotees and disciples would fail to fathom the depths of his greatness and spiritual heights he had attained in his lifetime. The educated and the uneducated naïve, would feel amused and inspired and unhesitatingly accept his words as gospel truth. 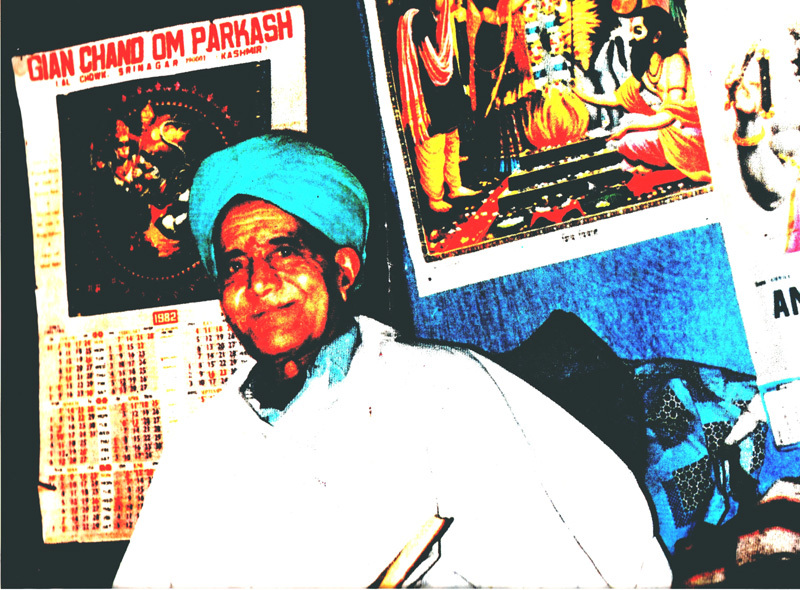 Before renouncing the materialistic world, Papaji worked for a few years as an accountant in the AG’s Department and later in the Rajput Boarding School of late Maharaja Hari Singh For residence Papaji was allotted a room in the back corner of the then Public Library---now the Jammu secretariate. It is in this room that Papaji underwent a ‘tapasya’ of the highest order. Here he studied the Hindu Schools of Philosophy; mastered the ‘Sankhya’, Vedanta and other schools of thought. During this period, he practiced Patanjali Yoga (now Ramdev’s domain) and underwent Yogic exercises of rare kind. These involved diet restrictions and physical discipline. For years he survived on milk and fruit alone; shunned the intake of salt completely. He drank deeply from the immortal fountains of Upanishads, Brahmsutras and Vedanta. To Vedanta he stuck to the last, yet he could not ignore the great Shaivic Philosophy that had the origin of his place. To quote him, he would often proclaim : “out of a hundred thousand kites, only a handful break free”. In other words, meaning that it is only this handful of true saints who can provide a healing touch to this suffering humankind. Papaji Maharaj symbolized the highest order of saints all his life, by transforming the lives of those who sought his blessings and spiritual upliftment. There are instances where this sage could alleviate the pain and suffering of a terminal patient., help in the admission of a candidate in profession, provide job to a jobless youth, rehabilitate an aged parent in the house of his estranged sons. Many a times he cured patients with chronic and terminal diseases --- with his miraculous meditation. Those fortunate few who could interact with the reverend Papaji, felt uplifted and sanctified by the vibrations emanating in his presence. Whatever cash or kind was offered to Papaji, he would next day pass on the same to myriad number of Sadhus, assembled in the Ramchander Temple premises in Civil Lines. A memorial to Papaji with a marble statue has been raised by a few of his US devotees, inside the Radhakrishen Temple at Dhoke Waziran, Nagrota, Jammu. Annual Yaghya is performed by thousands of Papaji’s disciples, aided by his own chosen disciple, Swami Shankeranand, now looking after the shrine devoted to his Guru, Papaji. Pertinent to mention here his last admonition to me on Feb. 28,’90. “You’re simply wasting precious time----the sooner you leave the vale better for you; don’t bother for your belongings; this mayhem will continue until 2011 and then subside but you’ll never return here; have a last glimpse of your joint House. ‘Yirvuin-nav-gaches----Yeman –peye-tawan-vadan-won’. After my family left in a small Fiat car without belongings, next day, March 1, to obey his commands, we never looked back across the tunnel for the next 23 years, as predicted.